The DWP publishes a consultation on the future funding of supported housing, alongside an evidence review of supported housing. Announcing the consultation in Parliament, Secretary of State for Work and Pensions, Damian Green MP, also revealed that the original plans for capping social housing rents at LHA levels had been changed. The cap was now to be introduced one year later than originally planned, in April 2019. All supported housing tenancies will now be subject to the LHA cap for their core rent and service charges, but there will be additional funding to cover the extra costs that supported housing has. 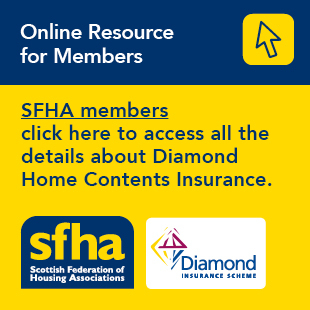 Mr Green stated that the overall funding for supported housing would not change and the budget for top up funding would be devolved to the Scottish Government to decide the best method for allocation. In making his announcement he also announced the 'simplification' of the process for general needs housing. 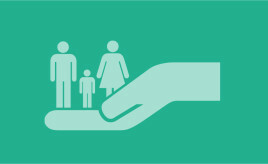 Like supported housing, the implementation will be deferred to April 2019, but whereas it was originally proposed to confine the cap to tenancies created from April 2016, this cap will now apply to all tenants on Universal Credit and to tenants on Housing Benefit if their tenancy commenced since April 2016. Tenants whose tenancies started before April 2016 and are on Housing Benefit will receive transitional protection if they are moved onto Universal Credit (the DWP plans to move all working age claimants on the six legacy benefits, including Housing Benefit, to Universal Credit between 2019 and 2022). The deadline for consultation submissions is February 13th, 2017. The SFHA, HSEU and Scottish Women's Aid held a joint event on the LHA and Supported Housing on November 21st. A copy of the briefing can be downloaded.